Home / engaging / Save Sarah Palin! 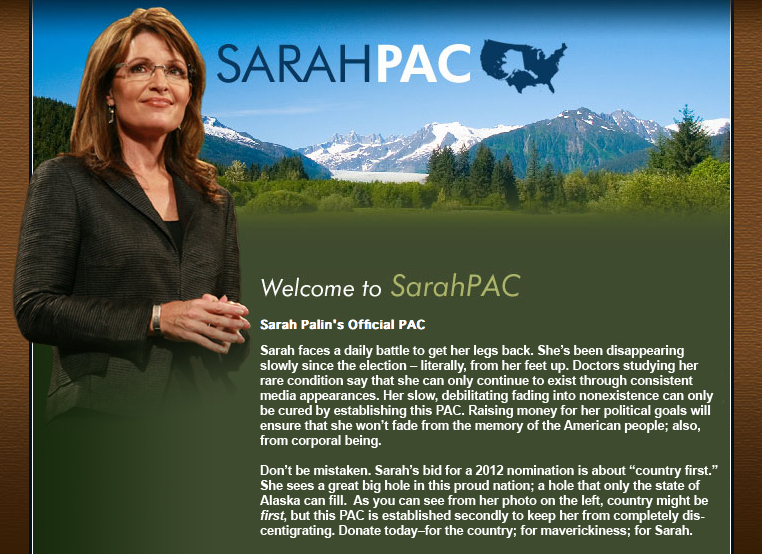 I think the website for Sarah’s new PAC looks really sharp. But I don’t think the text on the front page is all that persuasive. So I took a stab at rewriting it for her free of charge. Governor, feel free to use this.